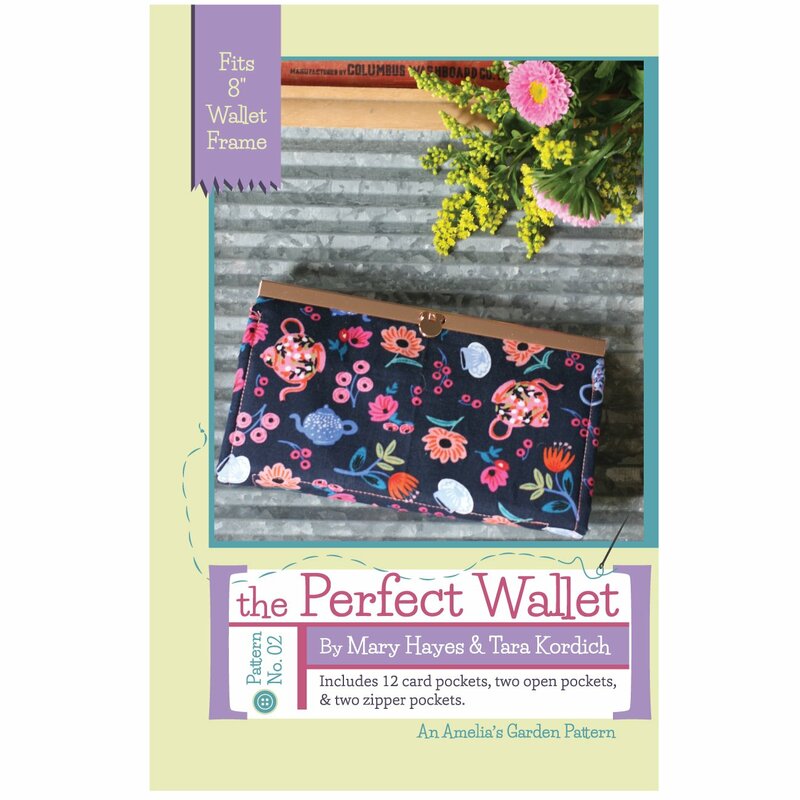 This perfect wallet uses the 8 inch Diva wallet frames. It includes 12 card pockets, two open pockets and two zipper pockets. Finished size 8” wide x 4½“ high x 1½“ deep.